Susan Hewitt is originally from England and has lived in the US for more than half of her life. She does volunteer work of different kinds, she loves to write (including Wikipedia articles, of course!) and she loves to teach. She also enjoys doing field research and writing papers on mollusks. She is fond of swimming and being in the ocean. At home you might find her reading a stack of science magazines or studying Buddhism. She thinks the most important thing any of us can do is try to make the world a better place for everyone else. Karthik Nadar is from Mumbai, India. He is a student and he works part-time. He contributed a lot to the 2011 Mumbai bombings article, including adding a picture he took after a bomb blast. In his fundraising appeal, he wrote, "On the day a terrorist attack ripped through the heart of my city, Wikipedia changed my life. The 2011 bombings in Mumbai made international headlines, but at the moment the crisis struck, there was no straightforward information about what had happened. I knew I couldn’t be the only one looking for answers. So I went out to take photos, uploaded a map I pasted together, and made sure the Wikipedia article on the incident would help people make sense of the chaos." Basil Soufi was born in Washington State, spent the first few years of his life in Saudi Arabia, then moved to Canada, and later moved to California. Basil realized the power of Wikipedia when, in 2004, a high school assignment led him to Google "John Kerry." The encyclopedia in his home library was printed in 1993 and did not have much information on John Kerry, who was not as notable at the time. He needed current information that can be found on the Internet but he also needed an encyclopedia, so Wikipedia fit the bill. Basil speaks several languages, including Arabic, French, and English, and he owns and operates a diversified media company. Ram Shankar Yadav is a software engineer by trade, and Wikipedia editor and campus ambassador. He was born and raised in Delhi, India, and currently lives in Pune, India. His hobbies include playing guitar, going to the gym, photography, cooking, and adventure sports. He goes to different universities to find researchers who are digging deep into knowledge, and he convinces them to share their knowledge on Wikipedia. Around campus he's known as the "Wikipedia guy." Abhishek Hingnikar is a college student from a small village in central India called Bina. In primary school, a close friend of his failed a class because he wasn’t able to do a homework assignment because he couldn’t afford his textbooks or even a slow Internet connection to access Wikipedia. This made Abhishek want to do something that would help people like his friend. He is currently a volunteer developer for Zero Wikipedia, a plain text website which is easily viewed on very basic mobile phones, and will not incur data usage charges. Aniruddha Kumar is from New Delhi, India. He is a blind Wikipedia editor who finds it important that Wikipedia remain ad-free because he does not have to waste time listening to advertising text on the site. He also likes that there is no barrier of nationality, ethnicity, religion, cast, or gender for editors or readers of Wikipedia; it is information for all written by all. He is a research scholar in Jawaharial University, New Delhi. He enjoys the art of winning a debate and convincing others to see his point on topics, spreading information, and eating tasty food. Beatrice Murch used to live in the Bay area of California and moved to Buenos Aires in 2006 with her husband. Beatrice works as a freelance photographer and helps run The Argentina Independent, an online news resource for English speakers in Argentina. When she started taking pictures she did not consider herself a photographer, and she started uploading her pictures under a free license. She wanted people to use her pictures because she was just breaking into the business. Eventually, her photos got used by a major newspaper, and she signed a contract with that newspaper. Her family works in the movie industry, and she has a strong understanding of the importance of getting paid for work, but she also understands that she does not need to hold onto the copyright for all of her work. Bruno Linhares is from Rio de Janeiro, Brazil. He has a Bachelor of Science in Civil Engineering and a Ph.D. in Practical Theology. In all of his many activities, he finds research to be the most enjoyable part for him. He enjoys reading about aviation and 20th Century world literature and journey accounts. He enjoys film, and he goes to the movies every week. He also enjoys walking, hiking, and photography. James Heilman is an emergency room physician in Cranbrook, British Columbia. He has been editing Wikipedia since 2008. Dr. Heilman is a cyclist, swimmer, and a marathon runner. He got involved in editing Wikipedia when he was working a night shift and the shift was a little bit slow. He came across a page that he thought was poorly written and he realized he could edit it, and then he was hooked. He pushes his colleagues to edit Wikipedia because "whether you like it or not, Wikipedia is what the world is reading," including medical professionals, and he wants to make sure the information on Wikipedia is correct and accurate. Ruben Hilaire-Quispe is an English and Aymaran teacher from Bolivia. Aymaran is a language in South America spoken by about 5 million people mostly located in the Andes: Bolivia, Peru, Argentina and Chile. In 2009, Ruben began as volunteer coordinator for a virtual Aymaran community called Jaqi-aru. The goal of this community is to use the Internet to promote and preserve the Aymaran language. Wikipedia is an ideal tool for this, although it has been a slow start because not many in the community know how to use the Wikipedia platform. Ruben and the Jaqi-aru community do not have access to the Internet at home. In order to edit Aymaran Wikipedia, Ruben will ask what interests the community, then go to an Internet cafe, copy and save the article, bring it home and translate it to Aymaran, then go back to the Internet cafe and upload the translated page to Aymaran Wikipedia. James Joshua Lim is from the Philippines, and he has contributed to Wikipedia since he was 14 years old. He has contributed over 13,000 edits to Wikipedia. He has found that he has been able to contribute to Wikipedia about developing countries because he finds that people from first world countries often have misconceptions about those countries. Also, he likes that Wikipedia is a community and considers it to be "social networking with a cause, with a heart, and at least of a good intention." Jehu Nnaji is originally from Nigeria and currently lives in Italy. He got his master's degree in Nigeria and Ph.D. in Italy. He describes his first experience with Wikipedia as being "like someone who discovered gold. Who wasn’t in search of gold, but discovered gold." At the time of his interview, he had only edited Wikipedia a few times, but expressed that he wants to do it more. He believes that if people have knowledge they will know more about each other and be able to settle conflicts without having to resort to war: "...when there is proper sharing of information, most wars will not even exist." Sonia Newton-Shostakovich was born and raised in Singapore and currently lives in New Zealand. She attends Auckland University. She has made over 15,000 edits to Wikipedia. She wrote her first Wikipedia article when she was in high school, and she likes that teenagers or people without formal education have the opportunity to share their knowledge on Wikipedia when they otherwise would not have the opportunity to do so. When the earthquake hit Japan, she noticed that there were several people editing the article with up to the minute information. Isaac Kosegi Kips is from Kenya, and he's a recent graduate from Egerton University in Nakura, Kenya. Isaac is a Wikimedia volunteer, and his major project is distributing offline versions of Wikipedia to several schools in Kenya that do not have Internet access. He is also working on improving Wikipedia in Africa's native languages. When he is not editing Wikipedia he loves to read, and he loves soccer. 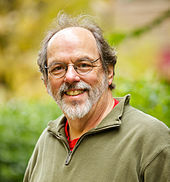 Ward Cunningham is a computer programmer and the inventor of the wiki. He is a founder of Cunningham & Cunningham, Inc. (c2.com) and currently resides in Oregon, USA. Read more about him on Wikipedia. Mark Graham is a research fellow, and his job is to understand the social effects of the Internet. One of his personal interests overlaps with his work and includes researching who is creating content on the Internet, what is being written about and what is not being written about online. He can do this research by using Wikipedia; he can track what is written about and what is not written about on Wikipedia. Brandon Harris is a Senior Designer at the Wikimedia Foundation and he has worked at Wikimedia since the spring of 2010. His appeal passionately highlighted his experience working at the Foundation, "I feel like I’m living the first line of my obituary. I don’t think there will be anything else that I do in my life as important as what I do now for Wikipedia. We’re not just building an encyclopedia, we’re working to make people free. When we have access to free knowledge, we are better people. We understand the world is bigger than us, and we become infected with tolerance and understanding. I work at the Wikimedia Foundation because everything in my soul tells me it’s the right thing to do. I’ve worked at huge tech companies, doing some job to build some crappy thing that’s designed to steal money from some kid who doesn’t know it. I would come home from work crushed." Maryana Pinchuk is a Community Organizer at the Wikimedia Foundation. She works with editors to support the growth of all the Wikimedia projects. Her favorite thing about her job is getting to work with an international team of "brilliant, crazy, fearless people who are completely rabid about the goal of sharing knowledge with everyone in the world for free." She is originally from the Ukraine and has spent time living in many places in the US, including Seattle, New Orleans, Boston, and Mississippi. She is a fan of going to bookstores and picking up classics and science fiction, and she likes motorcycle riding. Steven Walling is originally from Portland, OR, and currently lives in San Francisco, CA. He is a Community Organizer at the Wikimedia Foundation. He was a Wikipedia editor before becoming a staff member, and one of his favorite hobbies is writing Wikipedia articles about obscure topics. He also enjoys playing the board game Go and spending time in San Francisco's many green spaces. Akshaya Iyengar is a donor from India. She grew up in Solapur, a city in Maharashtra state. She moved to the US for graduate school and now lives and works in Seattle, WA. Akshaya is a Software Developer for a technology company. She likes the fact that the software she writes is directly used by many, many people. In her free time she enjoys ballroom/latin dancing, playing the guitar, and solving jigsaw puzzles. This page was last edited on 28 November 2017, at 03:08.